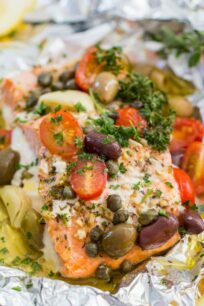 Mediterranean Salmon Foil Packets with capers, olives, oregano, garlic, and tomatoes are incredibly flavorful, flaky and tender, ready in just 20 minutes. I love making delicious and easy fish dishes, like our popular Oven Roasted Mahi Mahi, Oven Roasted Spanish Mackerel and Oven Roasted Red Snapper. 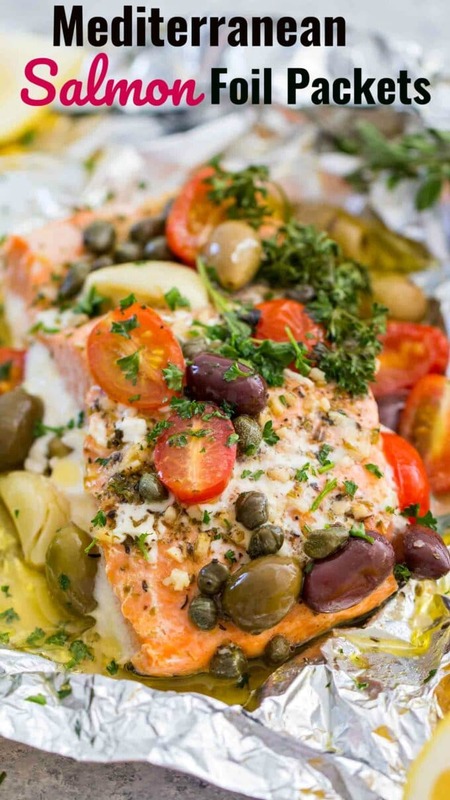 Mediterranean Salmon Foil Packets are incredibly delicious and full of flavor. 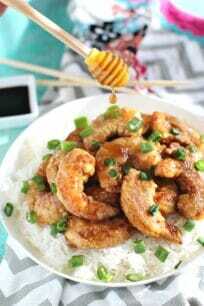 I love making these for dinner, they are healthy, tasty and ready in 20 minutes. Another great thing about these Mediterranean Salmon Foil Packets is that you don’t have to clean any baking pans. The salmon is baked in foil packets that seal all the flavors and make cleaning up very easy. The Mediterranean flavors are fantastic, the freshness is bold, which makes this dish delicious. 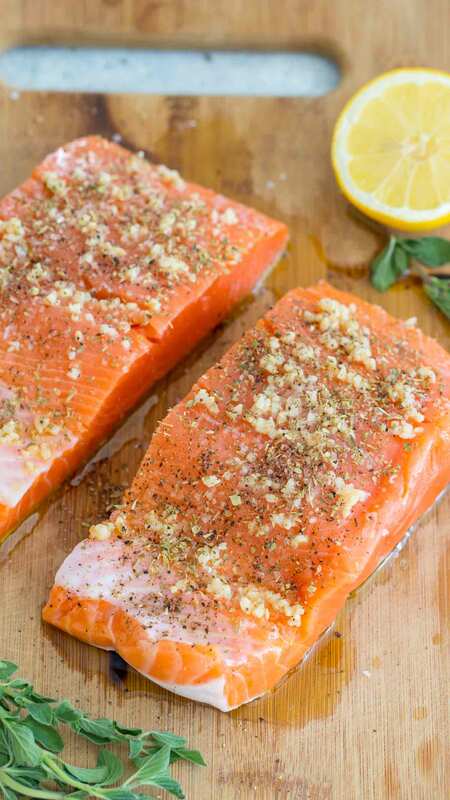 The salmon is rubbed with olive oil, garlic, and oregano. The peppery capers add a nice kick and are such a nice contrast to the sweet tomatoes. Fresh, buttery and flaky, this salmon will melt in your mouth! First, when possible, choose wild caught fish, as it tastes better and is healthier. Also, make sure the salmon has a nice, vibrant color, that it looks fresh and moist. In addition, smell the fish, and don’t be fooled, as fish should NOT smell fishy. That is a red flag and a sign that it’s not fresh. Make sure the salmon does not smell somewhat sour or like ammonia, in that case, it has gone bad and you need to toss it. Fresh salmon has a mild aroma, and it should smell similar to the sea. I also prefer to ask for my salmon to be cut into filets from the larger piece. That way I can have a better look how fresh is the salmon. I like eating fish, but I always try to buy wild caught, which I highly recommend as well. 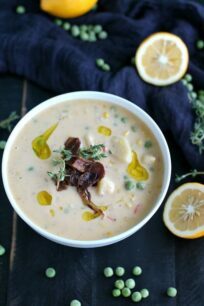 Wild caught fish has all the healthy nutrients which you will not find in farm raised. Also, try to avoid buying farm-raised salmon, because it has been treated with additives. For this recipe, I used a 1.5 lbs. king salmon filet that I sliced into two portions. To save money, you can buy frozen salmon and defrost it. Read the labels carefully and choose wild caught, raw salmon. Many times the salmon is already cooked. When cooking salmon, it’s better to undercook than overcook. I like to start checking a thicker piece like this after 15 minutes. Make sure you cover the salmon with foil uniformly, so it doesn’t dry out. You can top the salmon with 2-3 tablespoons of melted butter, to make it extra flaky. You can skip it, if you would like to save on calories. Add a few red pepper flakes for a spicer touch. Serve with rice, a green salad or roasted vegetables. How long can you keep fresh Salmon in the fridge? Salmon can be kept for 1 to 2 days in the refrigerator before cooking, that if you just bought very fresh salmon or if you just defrosted in the fridge frozen salmon. If you thawed the salmon in the microwave or in cold water, you should cook it immediately. Is it OK to eat Salmon’s skin? Yes, you can and actually, the salmon skin is full of healthy fats! I prefer to keep the skin on the salmon when I cook it, as it helps to keep the fish moist while cooking. When the salmon flakes easily with a fork, it’s ready. For every 1/2 inch of salmon, you should roast it for 4 to 6 minutes. For a rare center, you should bake it for 4 minutes, and for a more cooked through center – 6 minutes is best. Increase the baking time based on the thickness of the salmon filet. What wine pairs well with Salmon? 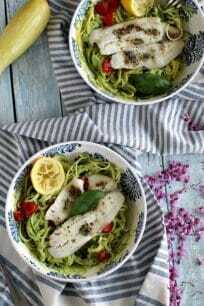 You could pick from Chardonnay or Pinot Noir because these wines have good acidity, which you definitely need to cut through the oiliness of the fish. 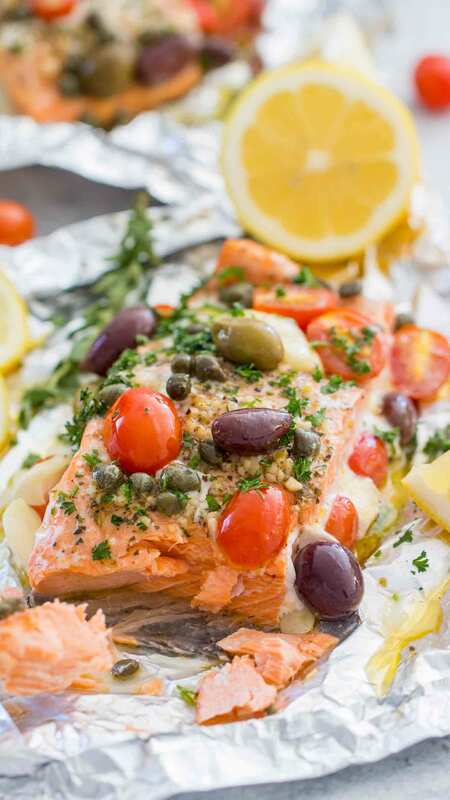 Mediterranean Salmon Foil Packets with capers, olives, oregano, garlic and tomatoes are incredibly flavorful, flaky and tender and ready in just 20 minutes. You will need 2 or 3 pieces (about 20 inches each) of aluminum foil based on how many filets you will be baking. I like to fold them once, to have a sturdier bottom. Place the salmon fillets in the center or each prepared aluminum foil. 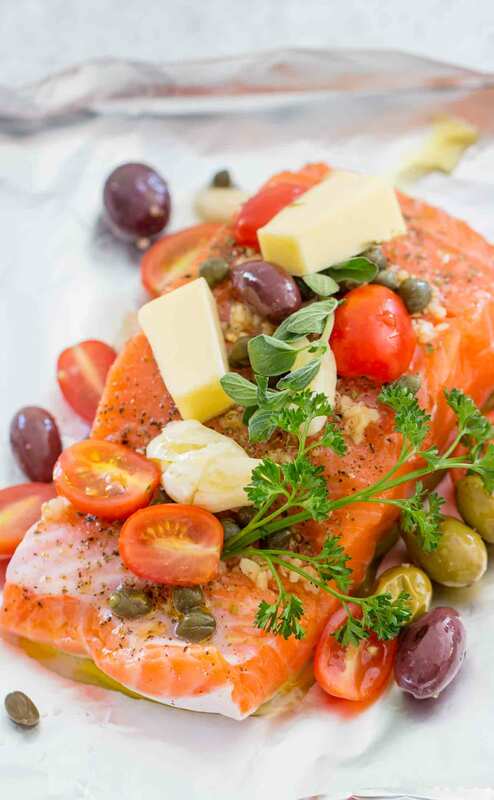 Top each salmon fillet with a drizzle of olive oil, use about 1 tablespoon. Add minced garlic, salt, pepper and dried oregano, rub it gently into the salmon. Add the capers onto the salmon, distribute evenly between the foil packets. Followed by grape tomatoes, olives, crushed garlic, lemon juice, butter, parsley and fresh oregano. Drizzle with the remaining olive oil. Fold the packets and close them, covering the salmon fillets well. Place packets on a baking pan and bake for 15-20 minutes or until salmon is cooked through and is flaky. You can also put the salmon packets onto a baking sheet. Once time is up, carefully open the packets to release the steam and serve. Adding butter does not make it extra flaky – cooking it at the right temperature for the right amount of time (less is better) DOES. So grill or oven. I’m confused by the directions. but it can also be done on the grill! Can you prepare these ahead of time and freeze? Do you mean to freeze after you cook it? or freeze the salmon row with all the fixings? Has anyone tried this with something other than salmon? Maybe snapper or halibut? Have you tried with additional veggies on top? Maybe Zuchini, Yellow Squash and Onions? I did this recipe en papillote. It worked brilliantly. Paper will degrade, foil takes an eternity. Just trying to do my bit for our planet. ?